During the summer, I love hosting get togethers on the rooftop of my apartment. One of things I enjoy most about hanging out on the rooftop is being able to stargaze while socializing with friends. To create the perfect mood lighting that doesn't distract from the stars, I DIYed these super cool string lights inspired by my summer nights spent by the campfire. 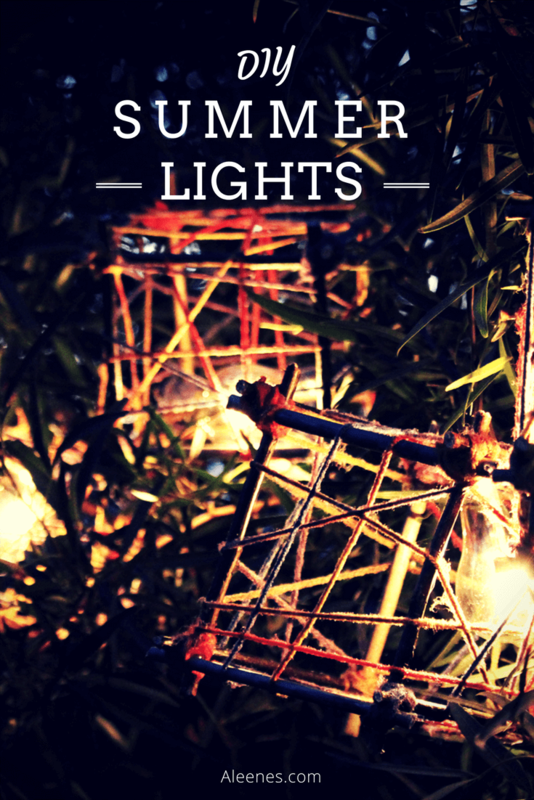 Let me show you how easy it is to make this rustic lighting to illuminate your outdoor space. Use your shears to cut your sticks to be 6" length long. 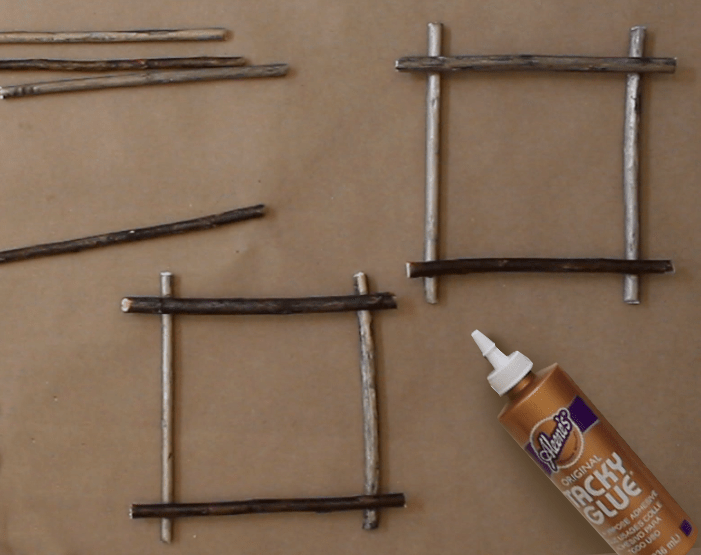 Align your clipped branches like shown and glue together where they meet. Let dry. 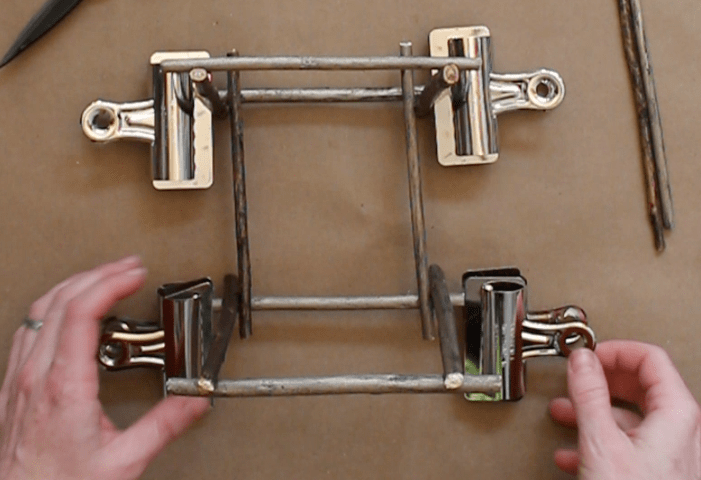 Start building your cage and glueing parts together like shown. I used clips to hold my cage together while it dried. 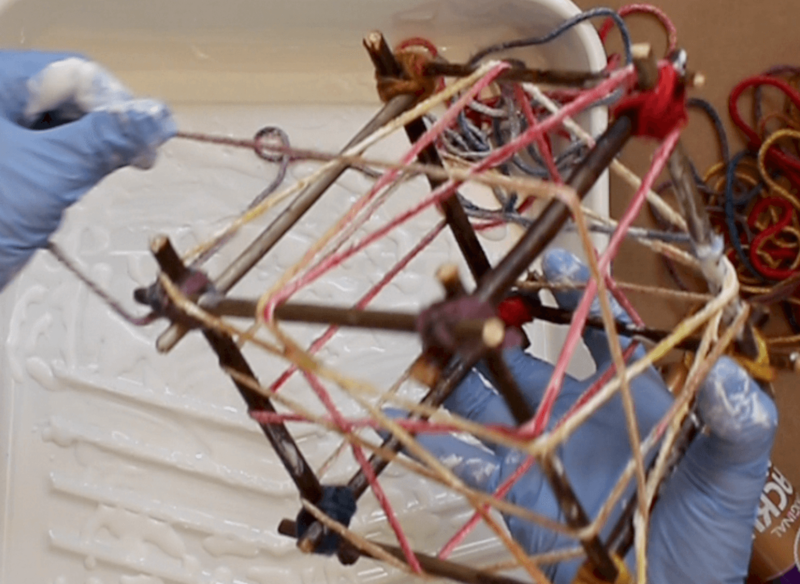 Tie off your cage with yarn to secure. 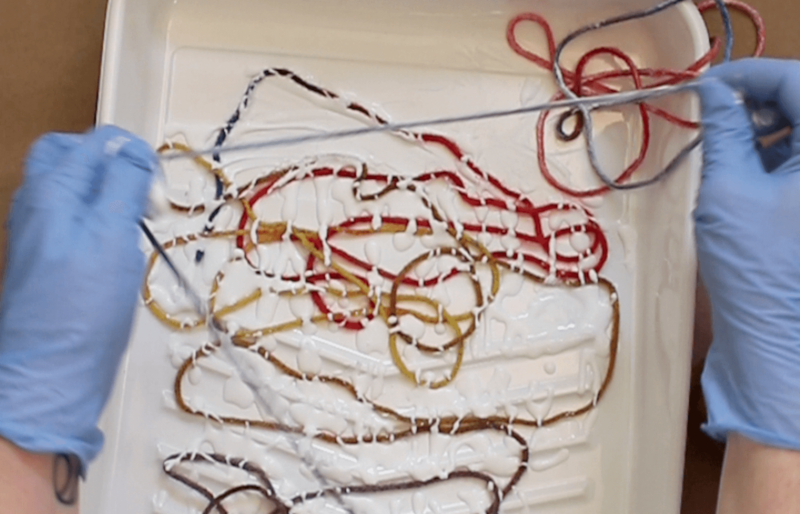 In your plastic tray, lay down your about 4 yards of yarn and squeeze a large portion of Aleene's glue over top. 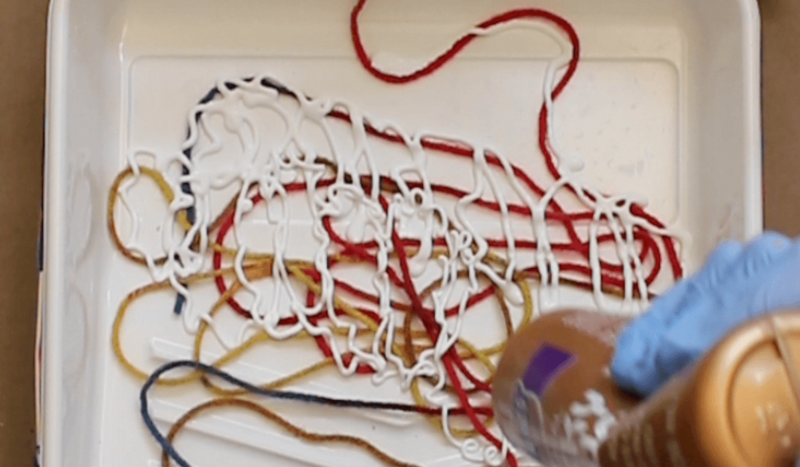 Pull the yarn through your fingers to evenly coat your yarn with Tacky Glue. This will make the yarn super stiff once dried! 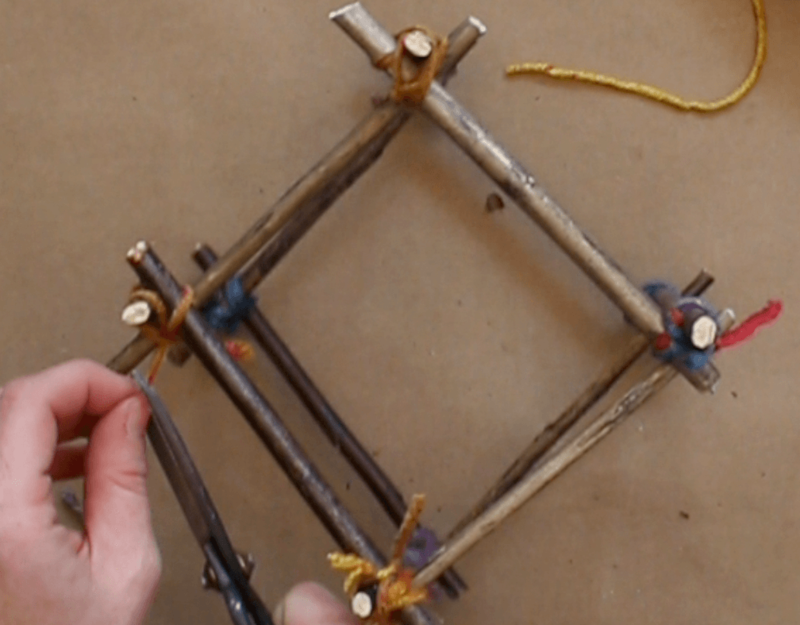 Tie your yarn onto one of the sticks and start wrapping the yarn around the cage until you run out of yarn. Pull tight as you go! You can add more or less yarn to create your look based on your personal preference. Tie off the end around a corner section of the cage to secure. Let dry thoroughly. Repeat this process to create more cages. 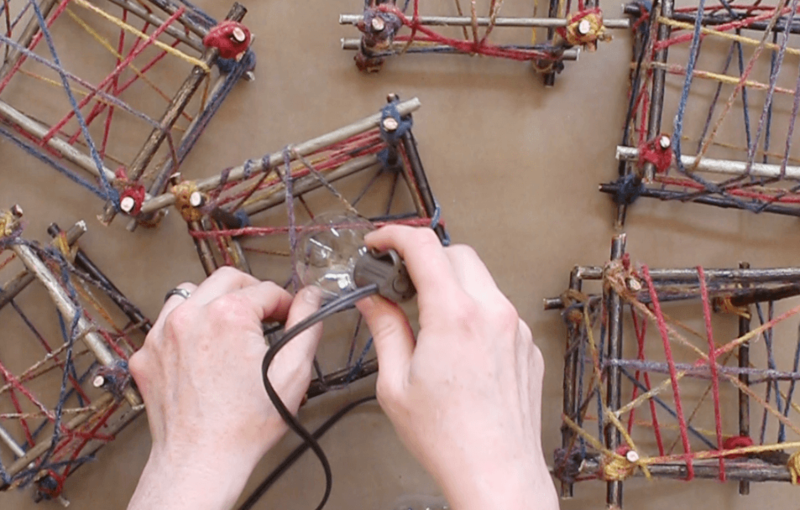 Start inserting your string lights in tight spots where your yarn intersects. Secure all lights in place and you're ready to display! Look how pretty they look at dusk! 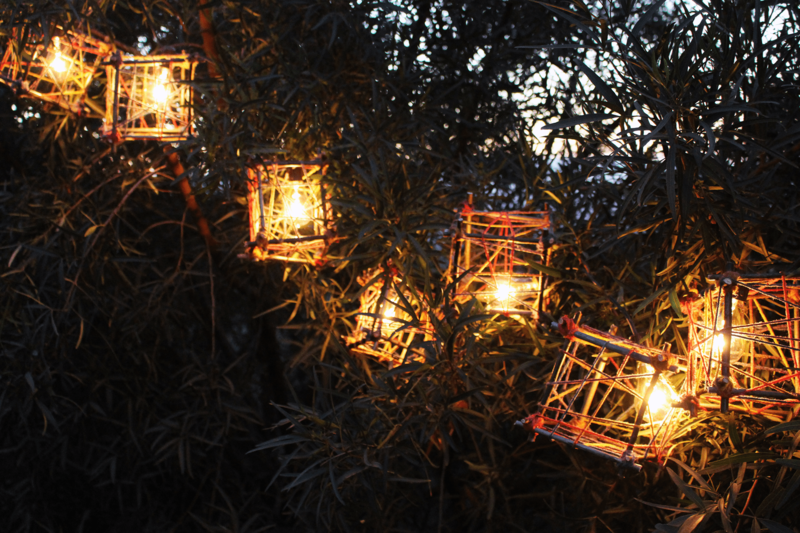 These lights are perfect for hanging on your patio or for a summer soirée under a pretty tree! 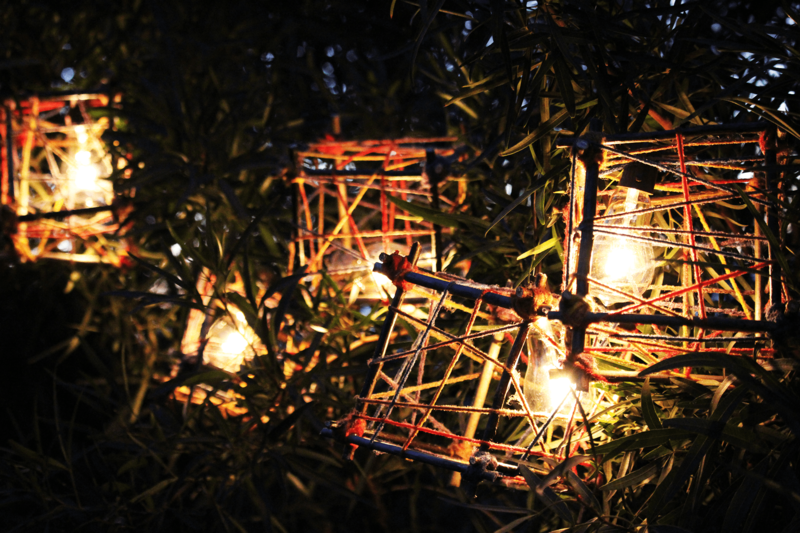 We also think they'd make some pretty magical and natural-looking lights for an outdoor wedding ceremony or reception! These definitely are a super affordable way to get a high end look on a tight budget. You could even go smaller in size and use tiny twinkle lights instead.